Light guide using light extraction rather than brightness enhancement films. 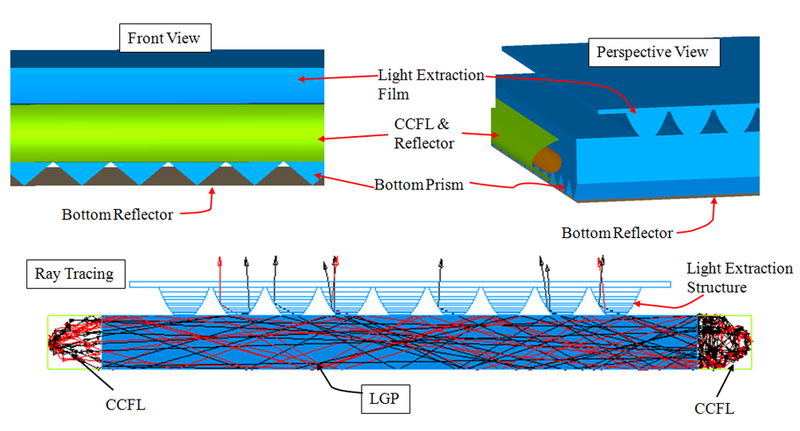 Light is guided inside the LGP unless it enters the extraction structures shaped like compound parabolic concentrators. Beam is incident on CPC wall with bigger angle than TIR angle. Due to TIR, beam can be redirected to LCD without losing its flux. Beam angle is confined within designed angle because of CPC structure.